Everyone loves editing their photos. Many people ask and wonder how to make images transparent on their phone ? If you are also looking for any such apps, then in this article I am going to list out some of the best transparent images apps. These apps are among the best photo editing apps that you can use. 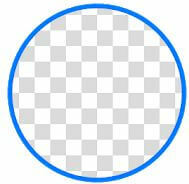 You can use these transparent images on any other image and change the complete background. This will make your photo look professional and more appealing. 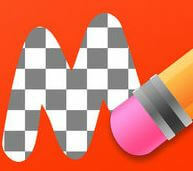 As a result of which every one should have at least on of these apps that can make any image transparent. One of the best apps that can be used for this purpose is background eraser. You can make your picture look transparent. Post which you would be able to use that picture anywhere you want. This one is easy to use app and it does not require any expertise. The developers also have included 2 modes, auto mode and extract mode. In auto mode, you can erase similar pixels automatically. Whereas in the extract mode, you can select and erase the object that you want. The extract mode gives you good result as compared to the auto mode. After removing the background, you can use your photo as stamp as well. Magic Eraser is another cool app that can make your images into a transparent one. It also has got automatic background area removal. Hence you can expect neat and clean transparent image with this app. There is absolutely no need to open a heavy software like photoshop. 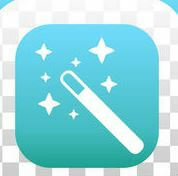 You can fulfill all the requirements of logos, keynote presentations, documents using this magic eraser app. The developers have also included zoom feature to provide you with pixel-level accuracy. You also can restore the image is anything goes wrong. You also can reverse a particular area which was edited. There is an option to save the image in high resolution as well. All in all, this is a neat little app that you can use easily for your quick editing of background removal and making image transparent. 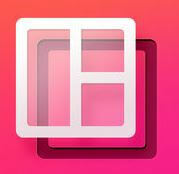 Another great background eraser app is cutout studio. Using this app, you can easily make some of the awesome images look even cooler. This app basically is for all the ios users who are searching for a quality app. It has got some amazing bunch of tools for photo editing. It has got auto removal tool to remove similar colors automatically. Also has lasso tool for area enclosed by drawing. Eraser to remove the area you touched. It also has restoration tool to restore the area that you have already edited. If you are a fan of photo frames and want to make your picture look cool and funky with a nice background, then this is the app for you. This is an awesome and free application that is exclusively designed for android users. You can merge two pictures into one, hence the background of your image would be changed. This app has got more than 40 backgrounds and that put this app as one of the best transparent images apps. All you need to do is to download the application and select the image you want to edit and then select the background image and you are done. If you want to make some changes to your selected photo, you can do the same. There are options to zoom, rotate and add text to the picture. Hence this is nice and simple app for you. Another cool app for the transparent photo lovers. This is an app for all the ios users. 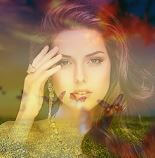 In just few steps, you can make the background of your image go transparent. Post which you can try making a collage out of them. There are bunch of cool options and filters to add to the functionality of this app. There is no watermark, more photo frames to choose from, clean and nice grid options and you also get to add your own captions. As a result this is a cool app with no complications. This is completely free to use app and has no in app purchases . You also can share the images directly on any of the social media pages Instagram, Facebook, Twitter, Tumblr, Pinterest, SnapChat and others. As the name goes, it has been designed by fantastic photo frames. You can convert your ordinary photo to a transparent ,unique and beautiful image. This is free to download and use app with some ultra cool features. This app is so easy to use, even a third grader would be able to edit the images. This is why it is know as one of the best transparent images apps. With some of the cool options, you get to add animation, photo montage as well. It also gives you option of own background and combining photo with each other and make a beautiful photo with best transparent effect. You also can set the photo to a wallpaper and share it with your friends from the app itself.